This very special pack has been designed following numerous requests from our customers. It allows you to start Moringa for 2 months very easily at a great price – you will get immediate 15% off when ordering ! 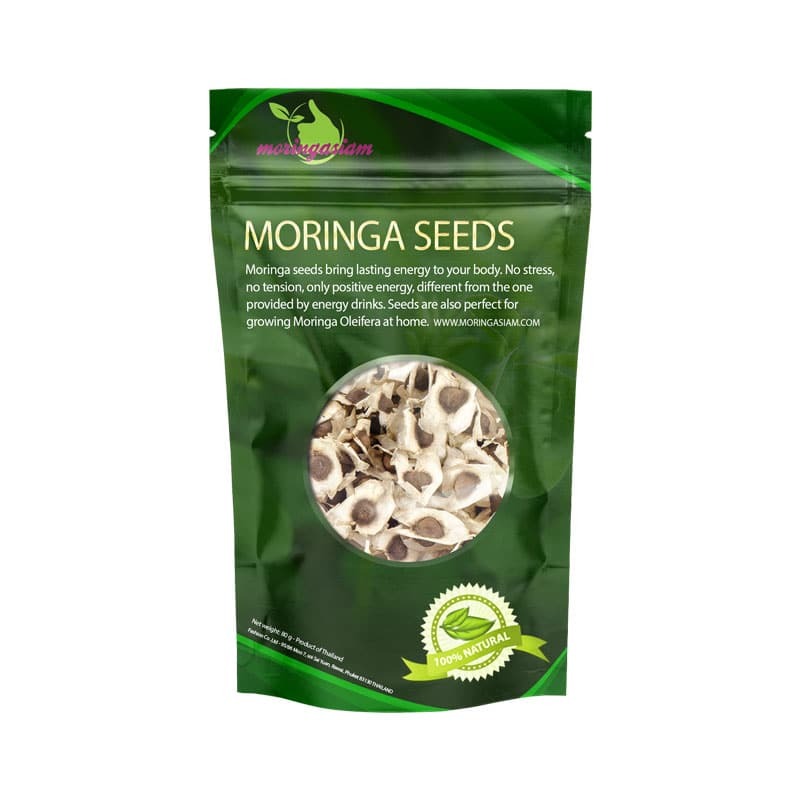 And 1 to 10 Moringa seeds per day. Apply the oil to your face or dry areas on a daily basis. Once this box is finished, you can either repeat the experience or buy the products that you liked the most directly on our shop! 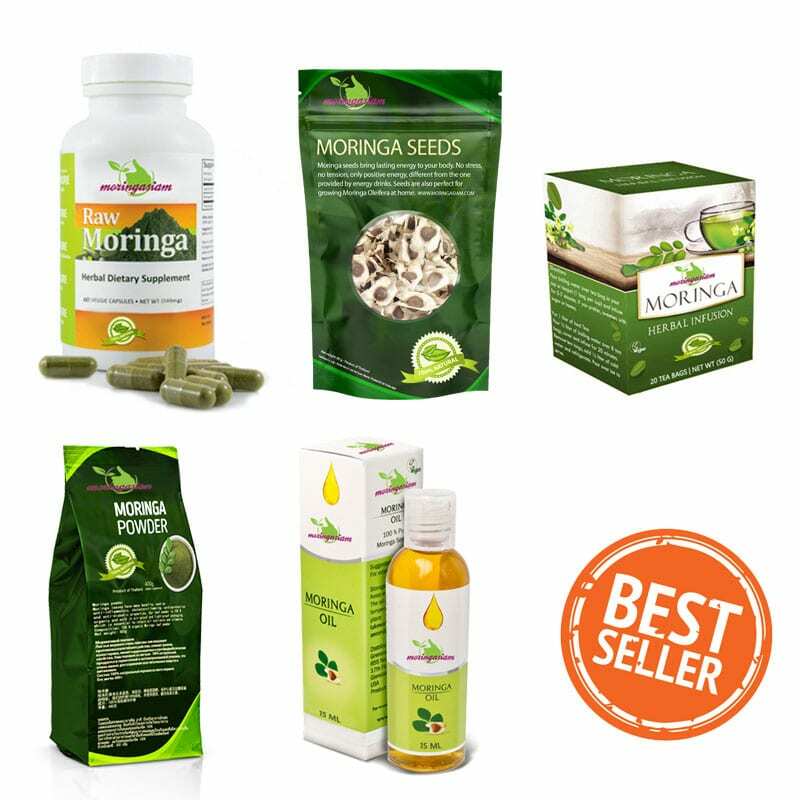 If you want to try moringa oleifera but you’re not sure about where to begin, this combo starter box il made for you. 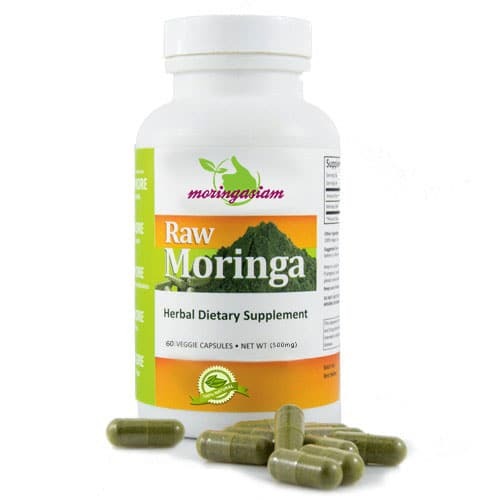 Moringa oleifera, as you may know, is full of benefits with anti-inflammatory, cholesterol-lowering, cardioprotective, anti-diabetic, and many more healthy properties. 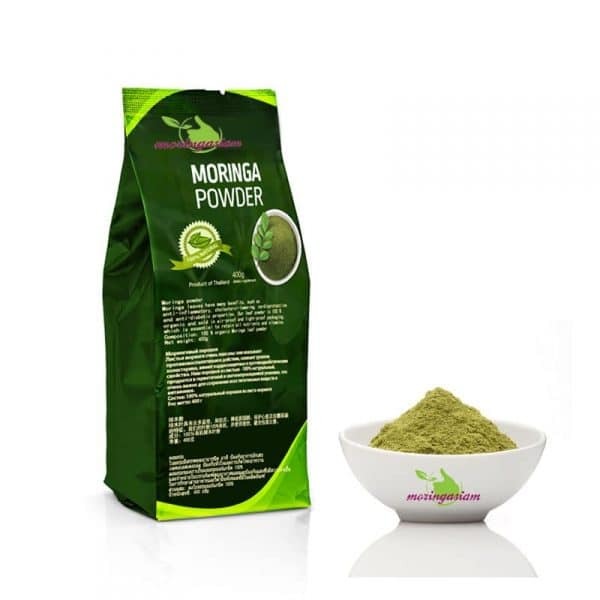 Moringa powder is easy to mix with meal dishes and drinks. You can use it for cooking by mixing it with sauce. The powder is made from dried leaves of Moringa. Light and air proof packaging keeps the powder free from light to preserve all nutritional contents and vitamins. 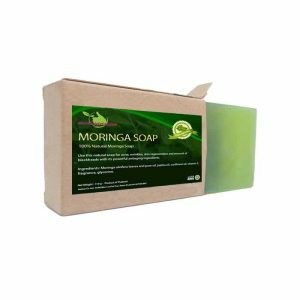 Our high quality moringa oleifera oil is full of anti dry, anti wrinkles, antiseptic, anti inflammatory and powerful anti-aging properties. 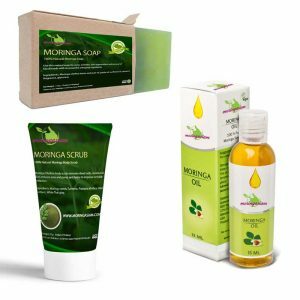 Morover, we use cold pressure process to extract the oil, which preserves both its antioxidants and nutrients. Drink 2 Moringa infusions a day. Very easy to use, you just need to infuse your sachet from 2 to 3 minutes in hot (non boiling) or cold water according to your desires. Eat 1 to 10 seeds a day in addition to the Moringa leaves (powder or capsule) to get back in shape and prevent you from getting sick. 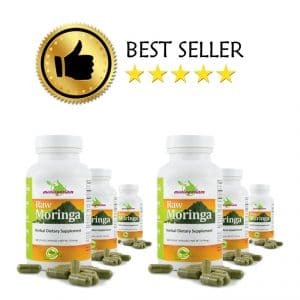 Capsules are the easiest way to begin with moringa oleifera. Full of antioxidants, vitamins, and essential nutrients to your body, capsules will help your body to fight against many diseases and give you powerful energy. 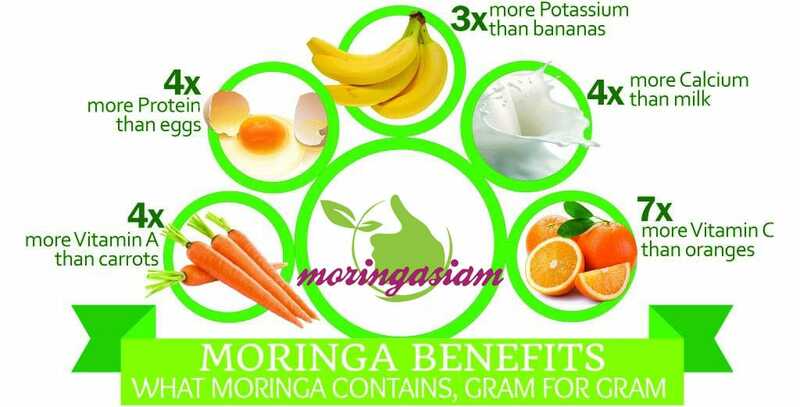 Find out more about our Moringa product’s range. Vos produits sont bien présentés et ce qui a été commandé est bien arrivé. 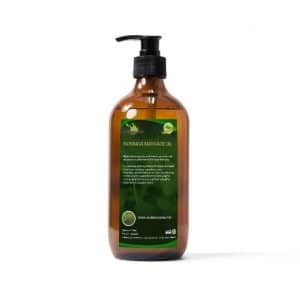 Malgré plusieurs recherches sur internet, pas de certification officielle que les produits sont bien BIO et pas de certification que les produits sont, depuis l’arbre jusqu’au produit fini, réalisés suivant les normes d’hygiène et le respect des standards des laboratoires pharmaceutiques. 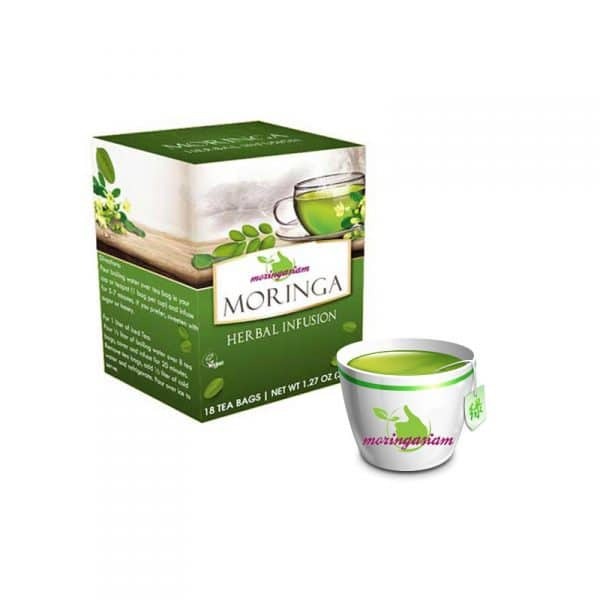 Pour savoir si le moringa peut m’apporter un bienfait, il faudrait, à mon avis, au moins faire une cure de six mois et ensuite réaliser un bilan, avec prise de sang avant la cure et prise de sang après la cure, de façon à vérifier s’il y a ou non une incidence sur le corps.